On January 31, 1994, ten ladies gathered to organize the G.H.C. Ladies’ Auxiliary, an extension of the Gulfcoast Homing Club. By the end of the first year, the membership had grown to twelve. During the year, ladies opened the kitchen for four young bird auctions, had two yard sales, and planned ladies’ activities for the 1995 AU Convention. Since 1994 the Auxiliary has grown to a membership of near ninety women. 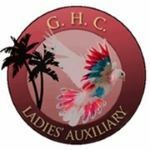 As of May 1, 2007, the Auxiliary became financially independent from the G.H.C. which means we are no longer an extension of the GHC but a separate organization associated with the G.H.C. Business meetings are held the second Thursday of the month, 10:00 a.m. (except July, August and December) at the G.H.C. Clubhouse. Coffee and pastries are served before the meeting. Planning and hosting ladies' events during Classic week. Planning and hosting ladies' activities for the AU Conventions hosted by the Greater Tampa Bay Racing Pigeon Concourse and/or the Gulfcoast Homing Club and assisting wherever else is needed. In order to finance some of the activities, the Auxiliary has one or two primary fundraisers each year. At the Classic, members sell pigeon memorabilia such as hats, tee-shirts, mugs, etc. In the spring, members may gather for a huge yard sale that turns into quite a social event. Money raised during the year provides funds for scholarships we give to deserving Hernando and Pasco County seniors, for donations to our charities of choice and to help finance the G.H.C. Awards Banquet and Memorial Day Picnic organized by the women. The Ladies’ Auxiliary is not about all work and no play. Each month we try to plan a Ladies-Day-Out to visit a local attraction, go to a matinee performance at the local dinner theater, go shopping, or see one of the latest movies and of course, all outings include having lunch together. We also have a BINGO night the last Wednesday of the month open to all GHC and Auxiliary members and invited guests. Ladies also get together to share craft ideas or play cards and other games. Members have many talents and interests and there is always something to do with someone.